Students and those interested in the medium are faced with questions on how to further pursue and refine their photographic vision. What is the path for becoming a photographer? Is it necessary to take classes and even go on to get an advanced degree such as a BFA and then, an MFA? How does one develop their photographic vision? What comes after the education? As an instructor of photography, I’ve been asked these questions on a regular basis and much to the disappointment of a student seeking an immediate and certain direction, I can only pose more questions than answers as the education of a photographer is an individual process. Photography is experiencing a revolution that is as exciting and complex as when it was discovered over 150 years ago. The internet and photo-sharing websites, on-demand digital book publishing, and photoblogs are complimenting the traditions of the medium, including the increasing number of photography galleries, museums with dedicated photography departments and photography books being published. 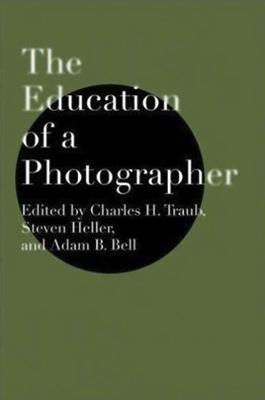 This is truly an exciting time for the medium which suggests that it will become necessary for the education of a photographer to shift as the medium continues to evolve, which is something both photographers and educators of photography have done since its inception. After completing the assigned reading, your response is required to be typed and turned-in prior to the scheduled class discussion.